In this phase the search team ensures it has the information it needs to conduct the search, then details how it will carry out its work. Intentionality around process undergirds the growing trust among search team members and between the search team and church as a whole, thus decreasing the anxiety that can lead to fatigue and quick decisions. Before the search team can invite potential candidates into a process of mutual discernment, it must first compose key documents by which ministers learn about the position. These documents are created for generating initial interest as well as for the search team’s later use, since well-written documents lay the groundwork for establishing trust with candidates, provide tools for assessing fit, and streamline clarification and negotiation at the end of the process. For potential candidates to consider the joy of being your minister, they must know about your open position. 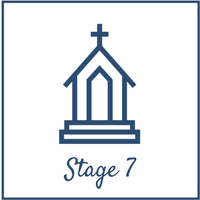 In this phase the search team begins to share widely the congregation’s story and invite candidates to imagine themselves within it. When this is done thoroughly and authentically, candidates will be eager to explore how their journeys might intersect with the church’s.